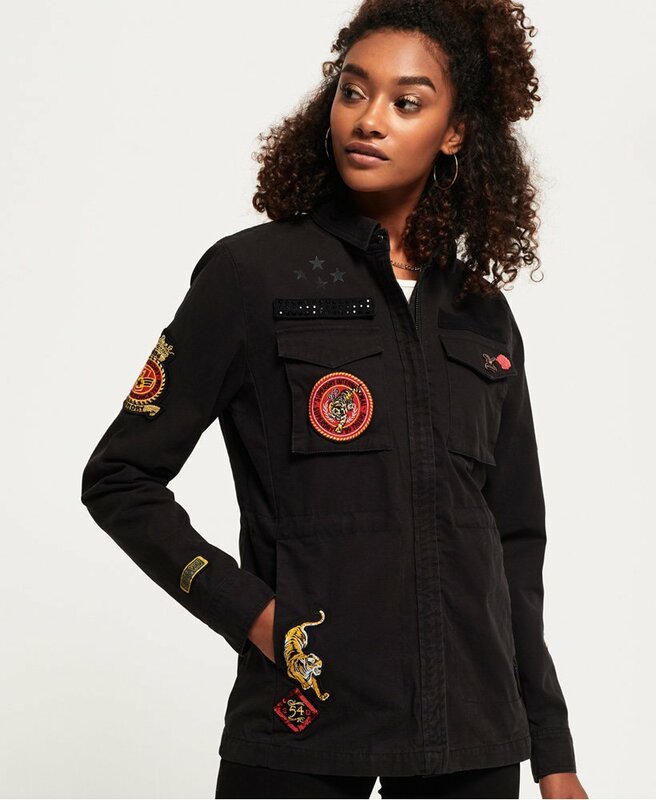 Superdry women’s Rookie army jacket. This jacket features a single layer zip and popper fastening, four external pockets and a drawstring adjustable waist. The Rookie army jacket is finished with a variety of badges, a textured Superdry graphic on the reverse, and a small logo tab on the side seam. Complete the look with jeans and your favourite boots.